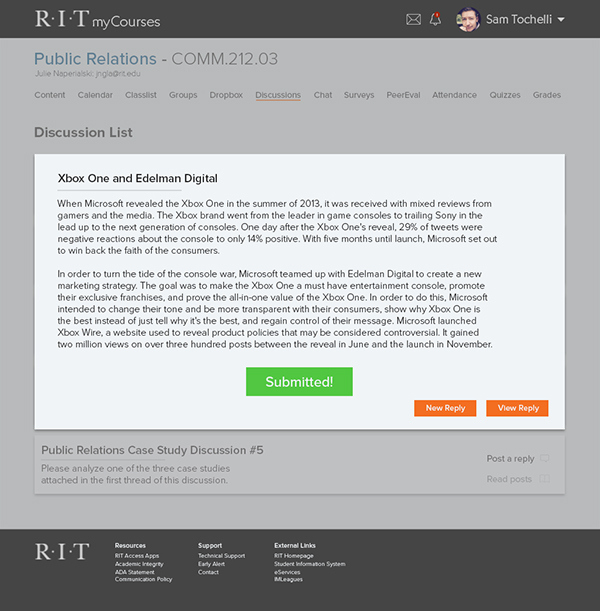 RIT MyCourses is a service provided by the school that allows students and professors to post class content, homework, and other assignments, while also providing feedback on completed assignments and discussion posts. 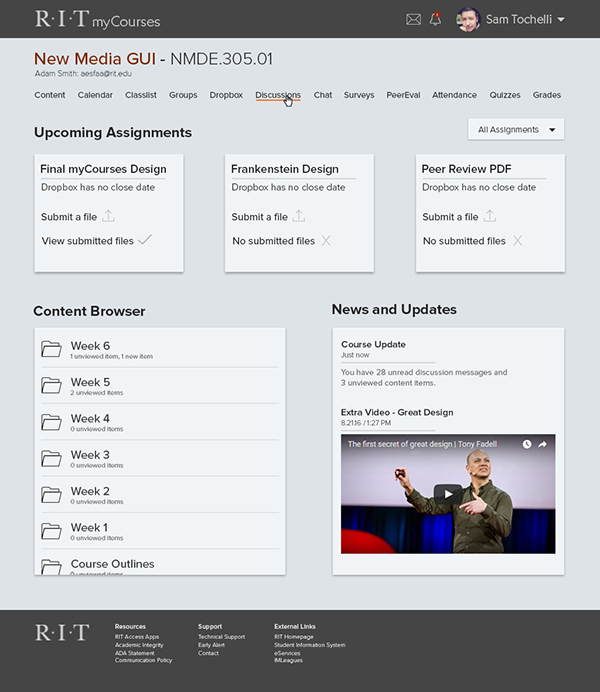 The current website lacks the ease of navigation one would expect from a tech school, so the re-design is intended to make content in the forefront and easy to find for students and professors. 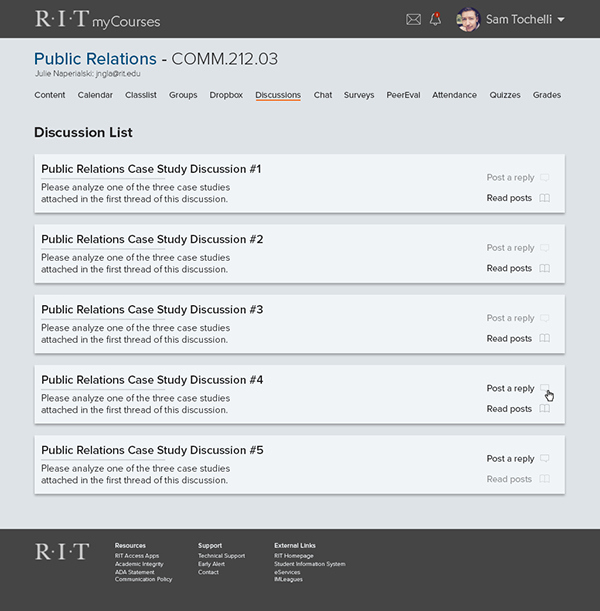 The course specific page features upcoming assignments, a content browser to view all class documents, and any updates the professor posts for the class to view. Discussions play a large part in liberal arts courses, as it allows students to interact with one another in more thought out ways than in class discussion. Being able to read someone else's thoughts and taking time to digest them leads to better conversation. 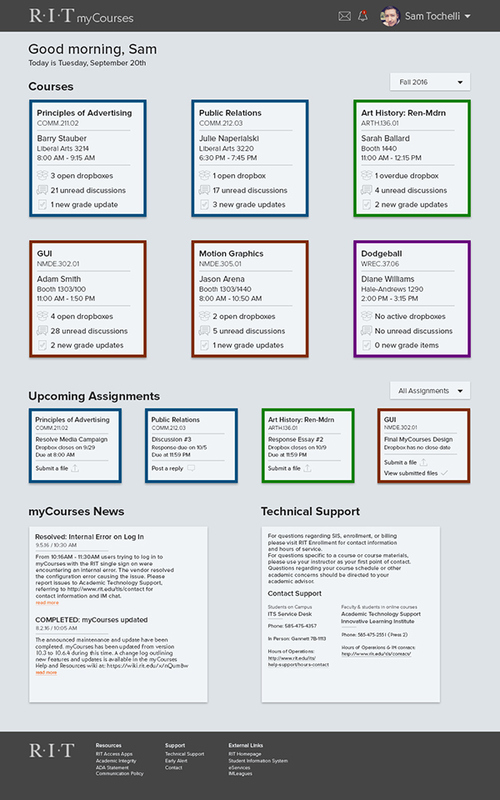 In the current system, formatting a discussion post is rather difficult. Font sizing, style, and other effects are hidden in sub menus within sub menus, making for a non-intuitive process. 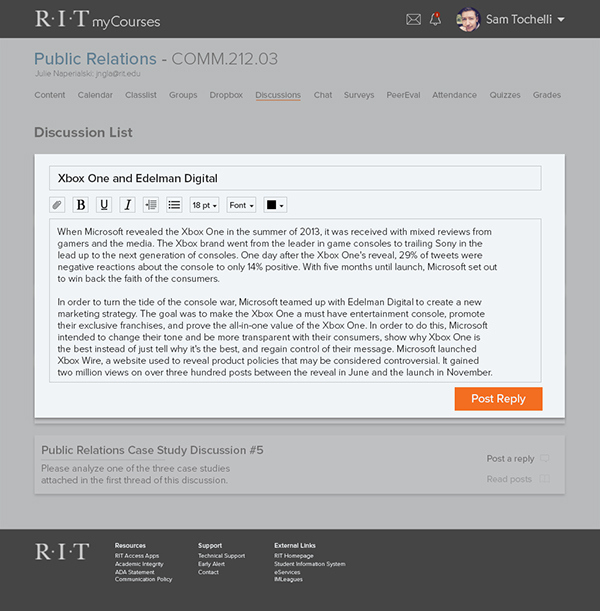 The re-design is intended to allow students to create posts with ease, while also conveying emotion through italics, bold, and other text formatting. The current submission page does not provide any feedback that your content has been posted, and does not provide a route back to where the user came from on the site. The re-design clearly informs users if the discussion uploaded successfully, while also allowing them to either read the post they just created or write another.